Local 17 TAB LAB hosts TAB TECHNICIAN Performance test. On Saturday, February 12th and 13th Local 17 TAB LAB was in full swing hosting the TABB Technician practical test. Four journeymen from local 40 and Local 46 traveled to Boston to participate along with local 17 journeyman Sean Hayward and 3rd year apprentice Christopher Burak. Congratulations to Sean and Chris for passing the exam and now holding the TABB Techinician Certification. 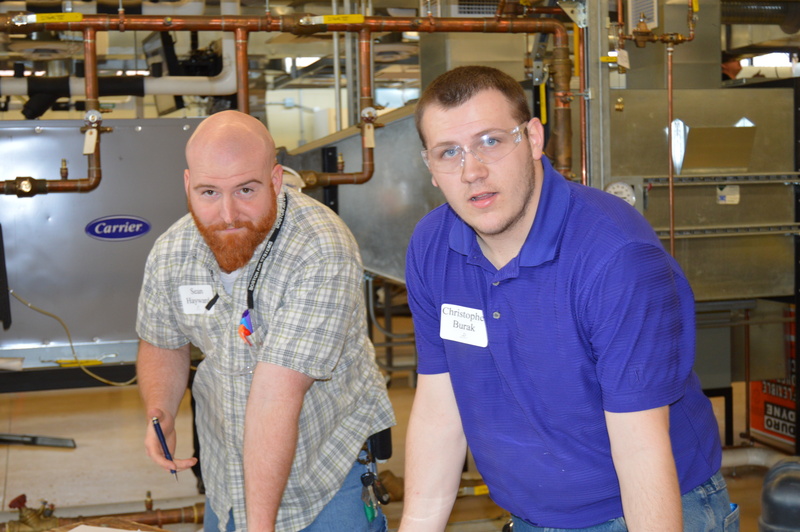 LOCAL 17 APPRENTICE IS YOUNGEST TO RECEIVE TABB TECHNICIAN CERTIFICATION. Christopher Burak is a 3rd year apprentice with Fanning Associates and is the youngest TABB Technician ever in Local 17 and possibly across the country. Chris is always thinking and highly intelligent. He has the ability to learn and process information quickly. Special thanks to Paul Fanning and Ray Fredette for judging, Bill Bulens for proctoring and Jim Anderton for instructing.